The Civil Service Commission of the City of Lyndhurst met in Regular Session on Thursday, December 9, 2010 at 8:30 a.m. in the Police Chief's Conference Room of the Lyndhurst Municipal Center, 5301 Mayfield Road. Mr. Raymond Schmidlin, Chairman, presiding. Others Present: Paul Murphy, Director of Law; Chief Carroll, Fire Chief; Chief Porrello, Police Chief; Clarice J. White, Secretary. It was moved by Mr. Patete, seconded by Ms. Sweeney that the minutes of the Special Meeting held November 3, 2010, copies of which were mailed to all members, be dispensed with and said minutes stand approved as circulated. Discussion and preparation of application, advertisement, and information packet for the original appointment exam for the Lyndhurst Fire Department. The Commission reviewed the ad announcing the original appointment test to be held January 29, 2011. It was decided that the maximum number of applications accepted will be one hundred fifty (150). Chief Carroll requested that the rule for appointment eligibility regarding age be expanded to include applicants that are pensioned up to the age of thirty-one. It was decided that Chief Carroll's request would constitute a change in the Civil Service Rules, and due to time constraints, this request will be reviewed and discussed at a later date. The Commission then reviewed the information packet given to all candidates once they have turned in an application. Ms. Sweeney recommended that the first paragraph, titled "Whom We Need" be deleted, and "General Requirements for Applicants" be in its place. Mr. Schmidlin concurred. Chief Carroll recommended that page 6, Step VII, reflect the edition from which the requirement came. It should read "Firefighters will be required to meet all requirements of the NFPA 1582 2007 Edition, Chapter 6, . . ."
Under "Ability and Skill to:" it was decided to eliminate the word Legibly. The third line under "Ability and Skill to" paragraph, will read as follows: Complete reports and necessary forms per fire department standards and must have fluent command of written and spoken English. Respond to all hazards, emergencies, including but not limited to medical and fire emergencies. Under "Salary and Benefits," add five percent (5%) after "Paramedic premium pay." The fourth bullet point, under "Employment Contract," delete the word "Satisfactority." Step IV under "Summary" Employment, Character, Background Investigation, Polygraph and/or Certified Voice Stress Analysis, or any other type of truth verification exam as approved by the Commission, will be added. Discussion continued on maintaining certification with continuing education in the fire department. The Commission reviewed the one page, "Application for Firefighter/Medic Examination," there were no changes. The Fire Department Application and Background Information Form was also reviewed, it was recommended that another page be created showing candidates' certification. In answer to a previously asked question, state code requires that firefighters can be hired between the ages of eighteen (18) and thirty-six (36). It was recommended that this issue be discussed thoroughly at a later date. This is to advise that all segments of the examination for Chief of the Lyndhurst Fire Department have been completed by Members of the Lyndhurst Civil Service Commission. Taking into account the results of the component parts of the examination, the Civil Service Commission has concluded that you, Michael, are the applicant most qualified for the position of Chief and they have so certified to me on November 3, 2010. Based on Civil Service Commission's recommendation and certification, I hereby appoint you, Michael, Chief of the Lyndhurst Fire Department effective November 3, 2010. You will be sworn in and will commence your duties as Chief as soon as practicable in accordance with the applicable rules, ordinances and statutes of the City of Lyndhurst, Ohio. Chief Carroll distributed information that he would like to see on the upcoming, but not yet scheduled promotional exam for lieutenants and captains. The hand out includes suggested studying materials, test scores breakdowns, and testing dates. He stated that eighteen firefighters are eligible to take the lieutenants test, and three lieutenants are eligible to take the captains test. The hand out also included cost and content for both assessment center and written testing. Motion carried, meeting adjourned at 10:10 a.m. The Civil Service Commission of the City of Lyndhurst will not hold a Regular Meeting in November. To meet in Special Session on Wednesday, November 3, 2010 at 8:30 AM, in the Conference Room of the Lyndhurst Municipal Center, 5301 Mayfield Road. Approve minutes of the Regular Meeting held October 14, 2010. Approve grades of examination for the position of Chief in the Lyndhurst Fire Department. Establish eligibility list for the position of Chief in the Lyndhurst Fire Department. Mayor's correspondence regarding original appointment exam and promotional exams in the fire department. The Civil Service Commission of the City of Lyndhurst met in Special Session on Wednesday, November 3, 2010 at 8:30 a.m., in the Conference Room of the Lyndhurst Municipal Center, 5301 Mayfield Road. Raymond Schmidlin, Chairman, presiding. It was moved by Mr. Patete, seconded by Ms. Sweeney that the reading of the minutes of the Regular Meeting held Thursday, October 14, 2010, copies of which were mailed to all members, be dispensed with and said minutes stand approved as circulated. The Commission reviewed the grades for the recently administered examination for promotion in the Fire Department. Following discussion, it was moved by Ms. Sweeney, seconded by Mr. Patete that the grades in the recently administered promotional examination for chief in the Lyndhurst Fire department be accepted as presented. It was moved by Mr. Patete, seconded by Ms. Sweeney that the Eligibility List for the position of Chief in the Lyndhurst Fire Department be established as presented as of November 3, 2010. It was moved by Ms. Sweeney, seconded by Mr. Patete that Michael Carroll be certified to the Mayor as Chief in the Lyndhurst Fire Department. A letter signed by the Civil Service Commission Chairman was read to the Commission, stating the above certification. Correspondence regarding original appointment exam and promotional exams in the fire department. The Commission recommended that the necessary steps be taken to conduct an original appointment test for firefighter in the City of Lyndhurst, and that Personal Selection Services be contacted to conduct the test sometime in late January 2011, and promotional testing in the fire department be done sometime in mid February with the Ohio Fire Chiefs' Association. Acting Chief St. John concurred. Motion carried, meeting adjourned at 9:05 a.m.
To meet in Regular Session on Thursday, October 14, 2010 at 8:30 AM., in the Conference Room of the Lyndhurst Municipal Center, 5301 Mayfield Road. Approve minutes of the Regular Meeting held September 9, 2010. Progress on upcoming Fire Chief's test to be held October 15, 2010. From Patrolman Reese dated August 25, 2010. Extend Eligibility List for promotionals in the Police Department (originally established November 6, 2008). Review proposed Resolution 2010-7 regarding establishing a passing grade for testing purposes. Review proposed Resolution 2010-8 regarding extensions of eligibility lists. From Chief Telzrow dated September 22, 2010. From Mayor Cicero dated October 4, 2010. From Captain R. Bruce Borthwick dated October 6, 2010. Discuss review of Civil Service Rules by the Walter H. Drane Company. The Civil Service Commission of the City of Lyndhurst met in Regular Session on Thursday, October 14, 2010 in the Conference Room of the Lyndhurst Municipal Center, 5301 Mayfield Road. Mr. Ray Schmidlin presiding. Others Present: P T Murphy, Director of Law; C J White, Secretary; Dale St. John, Acting Fire Chief; Patrolman Reese, Police Department Captain Mike Carroll, Fire Department Chief Porrello, Police Chief Sergeant McConville, Police Department. It was moved by Mr. Patete, seconded by Ms. Sweeney that the reading of the minutes of the Regular Meeting held September 9, 2010, copies of which were mailed to all members, be dispensed with and said minutes stand approved as circulated. Secretary White explained that there are two (2) candidates signed up for the test tomorrow. She further stated that a representative from The Ohio Fire Chiefs' Association will be in this afternoon for an orientation with the two (2) candidates. The test will be administered at 8:00 a.m. in the Lyndhurst Community Center. In answer to Mr. Patete's question, Secretary White stated that the two candidates signed up for the Chief's test are Captain Borthwick and Captain Carroll. As per your request during the July 15th meeting, I am submitting my formal request to extend the current police promotion eligibility lists for its third and final year. The current lists are scheduled to expire November 6th of this year. As I pointed out in my initial correspondence (see attached) regarding this issue, I believe the Civil Service Commission does have the authority to extend the lists. I also believe it would be in the city's best interest, saving thousands of unnecessary dollars. Discussion continued on extending the promotional eligibility list in the Police Department for the third and final year. Mr. Schmidlin stated that he would like to cite Rule XII, Section 1, which allows the Commission to waive the rules at their discretion by a unanimous vote, so long as the Civil Service laws of the State of Ohio are not violated. Ms. Sweeney asked Patrolman Reese if anyone who was not eligible at the time of the test, is eligible now. Patrolman Reese stated that no additional patrolmen will be eligible for approximately fourteen (14) months or so. Chief Porrello stated that everyone would be affected by the lack of a test being given, such as experience in both taking the test and more years on the job and prolonging the lists. Discussion continued on which personnel in the police department the waiving of Rule V would adversely affect, and who would benefit from it. It was moved by Mr. Schmidlin, seconded by Mr. Patete that Rule V of the Civil Service rules be waived, citing Rule XII, and the Lieutenant and Sergeant promotional eligibility lists in the Lyndhurst Police Department, be extended to November 6, 2011, due to the cost involved with administering another test, the time involved, and to abide by the intent of the rule, which is to be in keeping with the police original appointment list which can be extended for up to three (3) years and in the interest of justice to all concerned and to promote the welfare of the civil service in the City. Mr. Schmidlin recommended that the next item on the agenda be proposed Resolution 2010-8. A RESOLUTION AMENDING RULE V, SECTION 5, OF THE RULES OF THE CIVIL SERVICE COMMISSION AS THEY APPEAR IN CHAPTER 171 OF THE CODIFIED ORDINANCES OF THE CITY OF LYNDHURST. Mr. Schmidlin explained that the proposed resolution would be more consistent by removing the words "for original appointees" in the original resolution. He further explained that this resolution would be in keeping with the motion just passed regarding promotional eligibility lists, so all eligibility lists can be extended for up to three (3) years. It was moved by Mr. Schmidlin, seconded by Ms. Sweeney that proposed Resolution 2010-8 be adopted. A RESOLUTION AMENDING RULE IV, SECTION 1, OF THE RULES OF THE CIVIL SERVICE COMMISSION AS THEY APPEAR IN CHAPTER 171 OF THE CODIFIED ORDINANCES OF THE CITY OF LYNDHURST. Mr. Schmidlin explained that this proposed resolution deals with establishing a passing grade of seventy (70%) percent, for all Civil Service examinations in the City of Lyndhurst. It was moved by Mr. Schmidlin, seconded by Mr. Patete that proposed Resolution 2010-7 be adopted. This is to notify you that after 34 ½ years, I am resigning my position as Chief of the Lyndhurst Fire Department effective midnight, October 9, 2010. I have been privileged to serve throughout my career with officers and fire fighters who view the service we provide as not just a job but a vocation. I deeply appreciate the kindness and co-operation that you, your administration as well as Council have shown me during my 7 ½ tenure as Chief of this department. I wish all of you the best for the future. It was stated that a resolution of Council will be given to Chief Telzrow at a later date, commending him on his years of service, and congratulating him on his retirement. Correspondence from Mayor Cicero October 4, 2010. This is to advise that I will appoint Captain St. John as Acting Chief of the Lyndhurst Fire Department effective October 10, 2010. He will assume all duties and responsibilities of the position of fire chief on the above date. I make this appointment on an emergency basis because of the resignation of Chief Telzrow, effective October 9, 2010 (see attached). This appointment was also made for the good of the fire department, the welfare of the public and the necessities of the city's operation. In addition, Captain St. John is well qualified for this position based on the fact he has served as Captain, for many years. He is also thoroughly acquainted with the operations of the Lyndhurst Fire Department and the needs of the residents of the city. I will keep the Commission informed regarding changes, etc., regarding the above appointment. c:	Paul Murphy, Mary Kovalchik, Chief Porrello, Lt. Porter"
Please as accept this letter as a notification of concern regarding the resolution regarding additional credit for promotion in the fire department. The current wording and time table - implementation of the current resolution does to coincide with my recollection subsequent to some of the meetings over the course of the past several months. Does the current language represent the true intent of the commission in scope and timetable? Please review and reply to ensure clarity on this issue. In answer to Captain Borthwick's letter, Mr. Schmidlin stated that this topic had been discussed in length, and yes, the current language represents the true intent of the commission as stated in Resolution 2010-6. He further explained that Resolution 2010-4 had some different provisions with regard to promotions, but was defeated by the Commission. It was also noted that Captain Borthwick submitted to the Commission an extensive compilation of documentation regarding educational equivalency, some of which include fire science and public administration. Mr. Schmidlin explained that the Walter H. Drane Company does the codification for the City of Lyndhurst. Secretary White explained that she had called the Walter H. Drane Company, and spoke with the owner who stated that the company no longer reviews chapters for inconsistencies. He then referred her to Steve Byron, a city law director. She then stated that in speaking with the recommended lawyer, an initial price of one thousand ($1,000) dollars was quoted. Mr. Bryon suggested that the City of Lyndhurst's Law Director review the Civil Service Rules. Due to his familiarity with the Civil Service Rules, Mr. Murphy is so directed to review and update the Civil Service Rules of the City of Lyndhurst. Tabled Items: Mayor's correspondence regarding original appointment exam and promotional exams in the fire department. Discussion continued on possibly giving promotional exams in the fire department early next spring and an original appointment exam shortly thereafter. Acting Chief Dale St. John asked for clarification in Resolution 2010-6, Lieutenant to Captain, questioning the specifics of a bachelor's degree. Mr. Schmidlin stated that the minutes reflect the specifics of the bachelor's degree for promotional testing in the fire department. Motion carried, meeting adjourned at 9:15 a.m.
To meet in Regular Session on Thursday, September 9, 2010 at 8:30 AM, in the Conference Room of the Lyndhurst Municipal Center, 5301 Mayfield Road. Minutes: Approve minutes of the Regular Meeting held August 12, 2010. Approve minutes of the Special Meeting held August 19, 2010. Administer oath of office to new member of the commission, Rosemary Sweeney. Elect chairman for the remainder of the year, 2010. Amend Resolution No. 2010-03 to show clarification of acceptable educational credits. Mayors correspondence regarding original appointment exam and promotional exams in the fire department. The Civil Service Commission of the City of Lyndhurst met in Regular Session on Thursday, September 9, 2010, in the Conference Room of the Lyndhurst Municipal Center, 5301 Mayfield Road. Mr. Raymond Schmidlin, Chairman, presiding. The oath of office was administered to Ms. Rosemary Sweeney, new member of the Lyndhurst Civil Service Commission. It was moved by Mr. Schmidlin, seconded by Mr. Patete that the reading of the minutes of the Special Meeting held August 19, 2010, copies of which were mailed to all members, be dispensed with and said minutes stand approved as circulated. Amend Resolution No. 2010-3 to show clarification of acceptable educational credits. It was decided that since Resolution No. 2010-3 was previously adopted, the proposed amendments be considered in Resolution No. 2010-6. It was moved by Mr. Schmidlin, seconded by Ms. Sweeney that the agenda be amended to include proposed Resolution No. 2010-6. "IN A PROMOTIONAL EXAMINATION FOR THE FIRE DEPARTMENT, AND UPON SUBMISSION BY AN APPLICANT TO THE COMMISSION OF WRITTEN DOCUMENTARY EVIDENCE ACCEPTABLE TO THE COMMISSION, ADDITIONAL PERCENTAGE POINTS WILL BE ADDED TO THE FINAL PERCENTAGE OF ANY APPLICANT WHO HAS PASSED SUCH EXAMINATION , AND WHO HAS SUCCESSFULLY COMPLETED A LISTED CURRICULA FROM INSTITUTIONS ACCREDITED BY THE UNITED STATES DEPARTMENT OF EDUCATION OR ACCREDITATION AGENCIES RECOGNIZED BY THE UNITED STATES DEPARTMENT OF EDUCATION AS FOLLOWS:"
In answer to Mr. Schmidlin's question, Chief Telzrow stated that the language for accreditation was taken from the United States Department of Labor website. In answer to Mr. Patete's question, Chief Telzrow stated that accredited schools are listed on the United States Department of Education website. In answer to Ms. Sweeney's question, Chief Telzrow stated that the Department of Education would be the ultimate authority on which schools are accredited. It was moved by Mr. Schmidlin, seconded by Ms. Sweeney that Resolution 2010-6, be adopted. Mr. Murphy explained that he had previously met with Chief Telzrow who suggested putting a passing grade of seventy (70%) percent in Section VII of the Civil Service Rules. He further stated that after review, it was found that the percentage is set by the Commission for each individual exam. He then stated that the passing grade has always been seventy (70%) percent, though not documented. He then asked the Commission if they would like to consider establishing a passing grade of seventy (70%) percent or just keep it general as to "a passing grade." The Commission agreed that it would review a proposed resolution for next meeting. Mr. Murphy brought up the fact that the Commission still has to make the decision to score exams with either points or percentages. Chief Telzrow gave his recommendation for use of percentages for promotional testing. He then stated his concern regarding the language as established, and how the percentages would be calculated. He further stated that every test in the past has been challenged and questioned as to how the test was scored. Mr. Schmidlin referred to his notes which say to use percentage points, but also stated that as long as the scoring is clear and consistent, either would be fair. In answer to Mr. Schmidlin's question, Chief Telzrow stated he prefers percentages to points, which will weigh the test score. He stated that he would like to see incentives given to candidates who increase their education, and feels the percentage system would best accomplish that. He also suggested putting an example of the scoring procedure into a resolution. He also stated that he feels employee evaluations should be considered as well. It was recommended that new legislation be written for promotional testing that shows an exact passing grade of seventy (70%) percent and examples of scoring also be included for clarification. Mr. Schmidlin also recommended that the resolution be left as is but add clarification after the promotional testing is completed. Chief Telzrow suggested that the Civil Service Rules be reviewed for conflicting rules and inconsistencies by a qualified company. It was recommended that the secretary obtain a quote from the Walter Drane Company to review the Civil Service Chapter of the codified ordinances of the city. In answer to Mr. Schmidlin's question, the secretary explained that this item is on the agenda under "Tabled Items" so that the Commission does not forget to move forward with the original appointment through captains exams. She further stated that the only request that was acted upon was the promotional exam for chief. Chief Telzrow explained that it would be best to wait until the new Fire Chief is appointed and established, because the testing company will request a meeting with the chief for his input on the promotional exams for lieutenant and captain. In answer to Mr. Patete's question, Chief Telzrow stated a good time to give the promotional exam would be in March, due to the fact that not much vacation time is taken in January or February, which would allow time for study. Motion carried, meeting adjourned at 9:45 a.m. Regular Meeting of the Civil Service Commission of the City of Lyndhurst, Thursday, August 12, 2010 at 8:30 a.m. Joseph A. Sweeney, Chairman presiding. Commissioners: R D Patete, R. Schmidlin, J A Sweeney. Approve minutes of the Special Meeting held June 8, 2010. Approve minutes of the Special Meeting held July 15, 2010. Discuss list of eligible candidates for patrolman to be certified to the Mayor. Discuss proposed Resolution No. 2010-05. Meet with representatives of Ohio Fire Chiefs' Association. The Civil Service Commission of the City of Lyndhurst met in Regular Session on Thursday, August 12, 2010 at 8:30 AM, in the Conference Room of the Lyndhurst Municipal Center, 5301 Mayfield Road. Mr. Joseph A. Sweeney, Chairman, presiding. Others Present: P T Murphy, Director of Law; C J White, Secretary; Chief Telzrow, Fire Department; Chief Porrello, Police Department. It was moved by Mr. Patete, seconded by Mr. Schmidlin that the reading of the minutes of the Special Meeting held June 8, 2010, copies of which were mailed to all members, be dispensed with and said minutes stand approved as circulated. It was moved by Mr. Patete, seconded by Mr. Schmidlin that the reading of the minutes of the Special Meeting held July 15, 2010, copies of which were mailed to all members, be dispensed with and said minutes stand approved as circulated. Mrs. White, Secretary stated that fifteen candidates were contacted, one candidate was no longer interested, and so the sixteenth person on the list was contacted. She further stated that all but two candidates have returned their background information form. In answer to Mr. Patete's question, she stated that James Colbert, number 9, is the candidate who is no longer interested. In answer to Mr. Sweeney's question, Chief Porrello recommends that a background check be conducted then submitted to the Civil Service Commission for review and elimination prior to the Law Enforcement Index by Pradco for each of the twelve (12) candidates. Chief Telzrow stated that background checks were also conducted first, then submitted to the Civil Service Commission for review. He further stated Chief Porrello's recommendation is in keeping with the Fire Department's hiring procedure. Chief Porrello stated he is working on a process for hiring procedures, which will be helpful. The definition of the word "certify" was discussed. In answer to Chief Telzrow's question, Mr. Sweeney stated that the Civil Service Commission reviews the background checks prior to certifying the candidates' names to the Mayor. Mr. Murphy stated that when the entire background procedure on each candidate is complete, only then will a certified list of viable candidates be presented to the mayor. Discussion continued on the process for certifying the names of police candidates. Police Chief Porrello will also be submitting a process for hiring from an original appointment list to be followed. A Resolution amending Rule IV, Section 6, of the rules of the Civil Service Commission as they appear in Chapter 171 of the Codified Ordinances of the City of Lyndhurst. Mr. Sweeney stated that this proposed resolution adds five (5) additional percentage points for the original appointment to the fire department for any person who has earned a degree in fire science technology once the applicant has received a passing grade. It was moved by Mr. Sweeney, seconded by Mr. Schmidlin that Resolution No. 2010-05 be adopted. Mr. Sweeney stated that Mr. Talcott of the Ohio Fire Chiefs' Association is unable to attend this meeting due to a conflict. He further stated Mr. Talcott will be asked again to make a presentation at an upcoming Civil Service meeting. He then presented a quote from Mr. Talcott showing basic information and pricing for a written test for a promotional exam in the fire department, and an assessment center. In answer to Mr. Sweeney's request, Chief Telzrow stated he would submit a list to the Commission showing all eligible candidates for the promotional test in the fire department, from Lieutenant to Chief. It was moved by Mr. Schmidlin, seconded by Mr. Patete to enter into a contract with the Ohio Fire Chiefs' Association to conduct the next promotional testing from Lieutenant to Chief, pending their presentation to the Civil Service Commission. Chief Telzrow suggested that the promotional exam for chief be conducted prior to captain and lieutenant. He further stated that he would recommend the chief test to be conducted first so that the newly appointed fire chief can set the priorities for promotions for the other positions. Mr. Sweeney stated that Mayor Cicero has unofficially appointed Rosemary Sweeney to finish out his term on the Civil Service Commission. She will be sworn in at the Regular Meeting in September. Regular Meeting of the Civil Service Commission of the City of Lyndhurst, Thursday, July 15, 2010 at 8:30 AM. Joseph A. Sweeney, Chairman presiding. Others: P T Murphy, Director of Law; C J White, Secretary. From Mayor Cicero regarding the establishment of an original appointment eligibility list for firefighter and eligibility lists for the positions of Chief, Captain and Lieutenant in the City. From Mayor Cicero in regards to certifying names for original appointment in the police department. Discussion of the promotional list in the Police Department which expires August 6, 2010. The Civil Service Commission of the City of Lyndhurst met in Special Session on Thursday, July 15, 2010 at 8:30 a.m., in the Conference Room of the Lyndhurst Municipal Center, 5301 Mayfield Road. Chairman Joseph A. Sweeney, presiding. It was moved by Mr. Schmidlin, seconded by Mr. Sweeney that the reading of the minutes of June 8, 2010, be tabled until the next Regular Meeting. Correspondence from Mayor Cicero regarding the establishment of an original appointment eligibility list for firefighter and eligibility lists for the positions of Chief, Captain and Lieutenant in the City. Please accept this letter as my request to commence the steps necessary to conduct an examination for the establishment of an original appointment eligibility list for firefighter and eligibility lists for the positions of Chief, Captain and Lieutenant in the Fire Department so that the lists can be established as soon as you are practically able to do so. Mr. Sweeney recommended that this correspondence be discussed at length at the next Civil Service meeting. Correspondence from Mayor Cicero in regards to certifying names for original appointment in the police department. This is to advise that the Lyndhurst Police Department will have positions available for two (2) patrolmen. Therefore, I am hereby notifying you of the positions to be filled and requesting that you certify to me the names and addresses of individuals from the original appointment Eligibility List for the Lyndhurst Police Department. I would appreciate receiving the requested list as soon as possible. Thank you for your assistance and cooperation. The Commission stated it would start the procedure to certify twelve (12) names to Mayor Cicero for original appointment in the Lyndhurst Police Department. Chief Porrello reminded the Commission that a motion was made at the May 13, 2010 meeting that the Civil Service Commission enter into contract with Pradco to conduct the Law Enforcement Index, which will be part of the interview process prior to the background review by the Detective Bureau. It was moved by Mr. Schmidlin, seconded by Mr. Patete to contact the first fifteen (15) candidates on the police eligibility list to start the procedure for certifying twelve (12) names to the Mayor for original appointment in the Lyndhurst Police Department. I respectfully request to have the current police promotional lists for Sergeant and Lieutenant extended for an additional year. Over the past several months, Sgt McConville and myself carefully reviewed the current civil service rules governing ELIGIBLE LISTS (Rule V) and PROMOTIONS (Rule VIII). We believe the current rules clearly give the commission the authority to extend the lists for a third and final year. Sgt. McConville and myself also believe under the current economic climate it would better serve the city to have the lists extended. Rule V (ELIGIBLE LISTS), Section 5, clearly states that an eligible list shall remain in effect for a period of one year unless, in the judgment of the Commission, it is considered advisable for the list to be continued for a further period of one year. Section 5 also clearly states that an eligible list for original appointees may be further extend for a second one-year period (three total), if deemed necessary by the Commission. Rule VIII (PROMOTIONS), Section 8, clearly classifies a promotional test as an eligibility list. Section 9 of this rule clearly states that a promotional examination shall be conducted in accordance with the rules of the Commission governing examinations for original appointments. It should be noted that NO WHERE in Rule VIII (PROMOTIONS) does it state how long the eligible list shall remain in effect, nor does it state the number of extensions to be granted. Due to past practice by the Commission to extend the promotion lists, I believe the Commission observes the lists under the same rules and guidelines as an original appointment list. Due to this fact I respectfully request the Commission to extend the promotion lists for its third and final year as prescribed under Rule V, Section 5. If the current list is left to expire the city would be forced to give a new test next year providing only one promotional during its life and costing the city thousands of unnecessary dollars. Following Lt. Porter's retirement next year, the next retirement for a supervisor is not scheduled until 2016. To give a promotional test for this one position and costing the city thousands of dollars, when the Commission has the authority to extend the current lists, clearly would not serve the city in its best interest under the current economic climate. In closing I would ask the commission to review the Civil Service rules that I have mentioned and examine how the city would benefit from my request. I would also like to thank the members of the Commission for any consideration given to my request. After discussion about the amount of extensions a promotional list can be given, it was moved by Mr. Sweeney, seconded by Mr. Schmidlin to extend the eligibility list for Chief, Lieutenant, and Sergeant in the Police Department to November 6, 2010. It was moved by Mr. Schmidlin, seconded by Mr. Patete that Resolution No. 2010-03 be adopted. It was moved by Mr. Schmidlin, seconded by Mr. Patete that proposed Resolution No. 2009-04 be rejected. It was moved by Mr. Sweeney, seconded by Mr. Schmidlin that the meeting be adjourned. The Civil Service Commission of the City of Lyndhurst will not hold a Regular Meeting in July. A Special Meeting will be held July 15, 2010. Special Meeting of the Civil Service Commission of the City of Lyndhurst, Tuesday, June 8, 2010 at 8:30 AM will be held in the Police Chief's conference room, located on the second level in the police department, Joseph A. Sweeney, Chairman presiding. Approve minutes of the Regular Meeting held May 13, 2010. The Civil Service Commission of the City of Lyndhurst met in Special Session on Tuesday, June 8, 2010 at 8:30 a.m., in the Conference Room of the Police Chief, 5301 Mayfield Road. Chairman Joseph A. Sweeney, presiding. Others Present: P T Murphy, Director of Law; Rick Porrello, Chief of Police; C J White, Secretary. It was moved by Mr. Patete, seconded by Mr. Schmidlin that the reading of the minutes of the Regular meeting held May 13, 2010, copies of which were mailed to all members, be dispensed with and said minutes stand approved as circulated. Mr. Sweeney stated that Resolution No. 2010-2 had already been adopted, however he and the Commission wanted to see the changes that were made prior to signing the legislation. It was moved by Mr. Sweeney, seconded by Mr. Schmidlin that proposed Resolution No. 2010-3 be tabled. It was moved by Mr. Sweeney, seconded by Mr. Schmidlin that proposed Resolution No. 2010-4 be tabled. Discuss correspondence to Mayor Cicero. Mr. Sweeney asked direction from the Commission in regards to a letter he has written but not yet given to Mayor Cicero. The letter is in regards to procedures taken in hiring patrolmen for the city. After discussion, it was decided that the correspondence is premature, and the request is not appropriate at this time. Motion carried, meeting adjourned at 8:55 a.m. Regular Meeting of the Civil Service Commission of the City of Lyndhurst, Thursday, May 13, 2010 at 8:30 AM. Joseph A. Sweeney, Chairman presiding. Minutes: Approve minutes of the Regular Meeting held April 8, 2010. Discuss Chiefs' meeting with representatives of Pradco. Discuss Communications from Finance Director. Review Resolution No. 2010-01 for corrections. Review Resolution No. 2010-02 as amended. Review resolution for educational credits on promotional exam in the Fire Department. The Civil Service Commission of the City of Lyndhurst met in Regular Session on Thursday, May 13, 2010, at 8:30 a.m. in the Conference Room of the Lyndhurst Municipal Center, 5301 Mayfield Road. Mr. Joseph A. Sweeney, Chairman, presiding. Mr. Sweeney recommended that all legislation be in its final, corrected or amended form before a final vote of the Commission is taken for adoption. He then stated that there will be some additions to the Amended Agenda. It was moved by Mr. Patete, seconded by Mr. Schmidlin that the reading of the minutes of the Regular Meeting held April 8, 2010, copies of which were sent to all members, be dispensed with and said minutes stand approved as circulated. Chief Porrello stated that he had distributed a letter to the Commission, dated April 27, outlining the findings of the meeting he, Chief Telzrow and Mr. Patete had with Dr. Larry Borodkin of Pradco. He explained that there is a $250 set up fee for each component; Law Enforcement Index, Firefighter Index, and Psychological testing, plus the cost of the test. The cost for the Law Enforcement Index or Firefighter Index is $115 per person, psychological testing is $660 per person. Chief Porrello stated that this would be a very useful tool in determining candidates for the police or fire departments, and recommended that the Commission employ Pradco for any upcoming testing to be done for either the police or fire department. Mr. Patete stated that Dr. Borodkin told him at the meeting that Pradco does not use contracts. Chief Porrello recommends that the statistical testing not be used. It was moved by Mr. Sweeney, seconded by Mr. Schmidlin that the Commission enter into contract with Pradco to conduct the Law Enforcement/Firefighter Index and Pre-Conditional offer Psychological Testing, when needed. Discuss Communications from the Finance Director. In reviewing the correspondence from the Finance Director, Mr. Sweeney stated it would be beneficial if she were present at the next meeting to answer any questions regarding the Civil Service Commission's budget for 2010. In answer to Mr. Sweeney's inquiry, Mr. Murphy stated that the already adopted, Resolution Nos. 2010-01 and 2010-02 will be presented as amended at the next meeting to be signed. Mr. Murphy explained that proposed Resolution No. 2010-03 and proposed Resolution No. 2010-04 are similar, and deal with the same issue, and the Commission should review both and choose one that the Commission feels is better suited for adding educational credit to promotional exams in the fire department. The Commission decided proposed Resolution No. 2010-03 best reflected the intentions of adding educational credits for the promotional testing in the fire department, but recommended that all military credit shown in that resolution be deleted. It was moved by Mr. Sweeney, to adopt Resolution No. 2010-03. Motion died for lack of a second. Mr. Schmidlin stated that he would like to see a complete draft of proposed Resolution 2010-03, showing percentages, and removing all language in reference to military credits. Recommended changes were made to proposed Resolution No. 2010-03; Mr. Murphy stated he would incorporate those changes and clarifications, and present Resolution No. 2010-03 at the next meeting. Chief Porrello suggested using the language "a percentage of the final score," i.e. "2% of the final score" to be used in proposed Resolution 2010-03. It was moved by Mr. Schmidlin, seconded by Mr. Patete, that the meeting be adjourned. Regular Meeting of the Civil Service Commission of the City of Lyndhurst, Thursday, April 8, 2010 at 8:30 a.m. Joseph A. Sweeney, Chairman presiding. Others: P T Murphy; Director of Law, C J White; Secretary. Approve minutes of the Regular Meeting held March 11, 2010. Approve minutes of the Special Meeting held March 18, 2010. Resolution to add credit for SPO service on original appointment exam for Lyndhurst Police Department. Discussion of the use of Pradco for psychological exam for candidates for original appointment the Lyndhurst Police Department. Discussion of the use of Pradco or The Ohio Fire Chiefs' Association for promotional exams in the Fire Department. Discuss educational credits on promotional exam in the Fire Department. The Civil Service Commission of the City of Lyndhurst met in Regular Session on Thursday, April 8, 2010 at 8:30 a.m. in the Conference Room of the Lyndhurst Municipal Center, 5301 Mayfield Road. Joseph A. Sweeney, Chairman, presiding. Others Present: P T Murphy, Director of Law; Captain Mike Carroll, Fire Department; Chief Gerald Telzrow, Fire Department; Chief Rick Porrello, Police Department. Mr. Patete recommended the following change to the minutes of the Regular Meeting held March 11, 2010: Second page, third paragraph should read, "It was moved by Mr. Sweeney, seconded by Mr. Schmidlin that five (5) extra credit points be given to any current Lyndhurst Special Police Officer that has taken and received a passing grade in the original appointment exam to become a Lyndhurst Police Officer providing that the Special Police Officer has satisfactorily completed one year of probation with the Lyndhurst Police Department, as certified by the Police Chief." It was moved by Mr. Sweeney, seconded by Mr. Schmidlin that the reading of the minutes of the Regular Meeting held March 11, 2010, copies of which were mailed to all members, be dispensed with and said minutes stand approved as amended. It was moved by Mr. Patete, seconded by Mr. Schmidlin that the reading of the minutes of the Special Meeting held March 18, 2010, copies of which were mailed to all members, be dispensed with and said minutes stand approved as circulated. It was moved by Mr. Sweeney, seconded by Mr. Schmidlin that Resolution No. 2010-1 be adopted. Resolution No. 2010-1 is adopted. Resolution to add credit for SPO service on original appointment exam for the Lyndhurst Police Department. Mr. Sweeney suggested some changes and clarifications to Resolution No. 2010-2, as to the paramedic certification, and further recommended that examples be added to the resolution. It was moved by Mr. Sweeney, seconded by Mr. Patete that Resolution No. 2010-2 be tabled pending further review by the Law Director. Discussion of the use of Pradco for psychological exam for candidates for original appointment to the Lyndhurst Police Department. Chief Porrello said he has spoken with Dr. Borodkin of Pradco, regarding clarification of services that Pradco offers for psychological testing for conditional offers of employment. He then stated there is a one time set up fee of $250.00 for the psychological testing that is done for new police officers. He further stated that Pradco will tailor the test to fit the needs of a Lyndhurst Police Officer, as opposed to a general test for all police officers. There is a cost of $600.00 per person, the testing is done both on line and in person, the on-line testing includes law enforcement index, personal index, emotional intelligence index and the personal profile, which takes about four hours to complete. He explained that after the on-line evaluation is done, the results are given to Pradco, and the applicant will make an appointment with a psychologist at Pradco who administers the critical thinking test and personality inventory; it is then reviewed by two psychologists for determination. In addition to the psychological tests, there is a statistical test, which is $100.00 per candidate, and focuses on the traits that the entity (in this case, the Lyndhurst Police Department) deems most important. He feels the statistical test is beneficial due to the fact that Pradco will test a percentage of the current Lyndhurst Police Officers; Pradco will then be able to determine the qualities that Lyndhurst is looking for in the best officers and to determine the quality and characteristics would best fit the current Lyndhurst Police Department. Chief Telzrow concurred with the benefits of the statistical test, stating that the test would show the general, overall picture of what the culture of the current officers is. Chief Porrello stated that there are other tests available through Pradco that may be beneficial, and that are less costly. Discussion continued on the testing process. It was decided that Chief Porrello meet with Dr. Borodkin, to determine exactly the type of testing desired. In answer to Chief Telzrow's question, Chief Porrello stated that the law enforcement index, if done prior to the psychological and the conditional offer of employment, it becomes not so much a competitive exam between the applicants, as it is a tool for the chiefs to look at to see the strengths and weaknesses are, and he would prefer that it be done prior to the conditional offer of employment. Mr. Sweeney stated he would like to make sure that the law enforcement index can be given prior to the conditional offer of employment. Discussion of the use of Pradco or the Ohio Fire Chiefs' Association for promotional exams in the Lyndhurst Fire Department. Mr. Sweeney made a motion that Pradco be hired to conduct the promotional exams in the Fire Department. Mr. Sweeney stated that the Commission and both chiefs have had the opportunity to see presentation by both Pradco and The Ohio Fire Chiefs' Association. He further stated that he feels Pradco would fit the city's needs better. Chief Telzrow stated that Pradco may not give a written entrance exam, as the commission has understood it in the past. He stated that the entrance exam is a general knowledge test, and would like to know if Pradco does that type of testing. Mr. Sweeney withdrew his motion. It was determined that both chiefs meet with Dr. Borodkin of Pradco to establish what types of testing would be best for both the police and fire departments, for entrance levels and promotional testing. It was also recommended that comparison pricing between Pradco and The Ohio Fire Chiefs' Association be presented to the Commission for promotional exams in the fire department. Mr. Sweeney explained that there have been three informative proposals to the Commission; one from Chief Telzrow, one from Captain Borthwick and one from Captain Carroll, to recognize education as a factor in the fire department for promotional exams. He further stated he is most in favor of Chief Telzrow's presentation due to the simplicity. It was moved by Mr. Sweeney, seconded by Mr. Schmidlin, to accept the proposal for educational credits on promotional exams as presented by Chief Telzrow, on October 19, 2009, and that this motion mirror the sentiments contained in the memo dated March 10, 2010, and that the legislation show examples of the point(s)/percentage(s) added for clarification. It was moved by Mr. Schmidlin, seconded by Mr. Sweeney that the original legislation drafted showing Chief Telzrow's proposal be redrafted showing examples of the educational credits to be given. Mr. Patete stated that he was under the impression that the officers in the fire department would compile a presentation that would be agreed upon by all. He then commended the officers for their presentations. At this time, Mr. Sweeney read the memo dated March 10, 2010, from Chief Telzrow. Chief Telzrow asked if this motion would be in conflict with previous rules, or the codified ordinances, and what would take precedence if it is not mentioned. Mr. Murphy explained that there are rules of interpretation, generally speaking; specific rules take precedence over general rules, and most recent takes precedence over older rules. Chief Telzrow explained that while going over the fire code four years ago, there were many contradictions in the code; a company was paid to sort out the issues, and that he would like the issue of the educational credits to precede and not run into the same conflicts. It was recommended that the next time The Walter Drane Company does the codified ordinances of the city, that they pay specific attention to the rules and legislation of the Civil Service Commission. It was moved by Mr. Sweeney, seconded by Mr. Schmidlin that Resolution 2010-2, to add credit for SPO service or original appointment exam for Lyndhurst Police Department, be removed from table. Mr. Murphy explained that the language for the legislation is from the codified ordinances of the City of Lyndhurst, which has the language for the legislation, section 6, and going back through the rules, which indicates that section was changed in 2005. He further stated that a lot of the language was deleted. He stated that the company that was codifying the legislation missed the change. He recommended that Resolution No. 2010-2 make an addition to a third paragraph, which won't change any of the other existing paragraphs. He further recommended that Resolution 2010-2 be adopted, based on the language and the rule, and the incorrect statement of Section 6 be corrected. It was moved by Mr. Sweeney, seconded by Mr. Schmidlin that Resolution No. 2010-2 be adopted as corrected, and that examples be shown within the resolution. Resolution No. 2010-2 is adopted. Motion carried, meeting adjourned at 9:40 a.m.
Special Meeting of the Civil Service Commission of the City of Lyndhurst, Thursday, March 18, 2010 at 8:30 AM Joseph A. Sweeney, Chairman, presiding. Approve grades of written exam for patrolman. Approve eligibility list for patrolman. The Civil Service Commission of the City of Lyndhurst met in Special Session on March 18, 2010 at 8:30 AM, in the Conference Room of the Lyndhurst Municipal Center, 5301 Mayfield Road. Mr. Joseph A. Sweeney, presiding. The grades of each police applicant were presented to the Commission. It was moved by Mr. Patete, seconded by Mr. Schmidlin that the grades of the written exam for patrolman be approved as submitted. The Eligibility List for Patrolman in the Lyndhurst Police Department was reviewed by the Commission. It was moved by Mr. Patete, seconded by Mr. Schmidlin that the Eligibility List for Patrolman be established as of March 18, 2010. It was moved by Mr. Sweeney, seconded by Mr. Patete that the meeting be adjourned. Motion carried, meeting adjourned at 8:40 AM. Regular Meeting of the Civil Service Commission of the City of Lyndhurst, Thursday, March 11, 2010 at 8:30 AM Joseph A. Sweeney, Chairman presiding. Approve minutes of the Regular Meeting held February 11, 2010. Approve minutes of the Special Meeting held February 24, 2010.
Review correspondence from Chief Porrello regarding credit for Special Police Officers. Discuss Pradco's presentation of February 11, 2010. Resolution regarding education credits for promotions in the Fire Department. Discuss original appoint police exam held February 27, 2010. The Civil Service Commission of the City of Lyndhurst met in Regular Session on Thursday March 11, 2010 at 8:30 AM. in the Conference Room of the Lyndhurst Municipal Center, 5301 Mayfield Road. Joseph A. Sweeney, Chairman, presiding. Others Present: P T Murphy, Director of Law; C J White, Secretary; G Telzrow, Fire Chief; R Porrello, Police Chief; M Carroll, Fire Captain. Mr. Sweeney welcomed and introduced Deputy Chief Tom Talcott, EFO, Ohio Fire Chiefs' Association Inc. who gave a presentation on written testing relative to the upcoming promotional test in the Lyndhurst Fire Department. In answer to Chief Telzrow's question, Deputy Chief Talcott stated there is an assessment center for the promotional candidates, which he is not a part of. In answer to Mr. Sweeney's question regarding cost of the test, Deputy Chief Talcott stated the written test is one thousand five hundred ($1,500.00) dollars plus twenty ($20.00) dollars per candidate. He then stated the assessment center for three to six candidates is five thousand three hundred ($5,300.00) dollars. He then presented a fee schedule for customized topics and questions. It was moved by Mr. Schmidlin, seconded by Mr. Patete that the reading of the minutes of the Regular Meeting held February 11, 2010, copies of which were mailed to all members, be dispensed with and said minutes stand approved as circulated. It was moved by Mr. Schmidlin, seconded by Mr. Patete that the reading of the minutes of the Special Meeting held February 24, 2010, copies of which were mailed to all members, be dispensed with and said minutes stand approved as circulated. 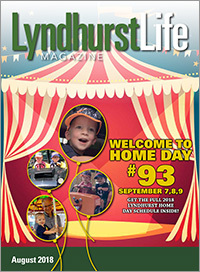 Chief Porrello explained that a Lyndhurst SPO already knows the dynamics of the Lyndhurst Police Department, is familiar with the streets and its residents, and would be a benefit if he or she were to be hired as a Police Officer. It was moved by Mr. Sweeney, seconded by Mr. Schmidlin that five (5) extra credit points will be given to any current Lyndhurst Special Police Officer that takes the original appointment exam to become a Lyndhurst Police Officer, providing that the Special Police Officer has satisfactorily completed one year of probation with the Lyndhurst Police Department per the Police Chief. Chief Porrello stated that many departments in the area use Pradco and are very satisfied with the company. He further stated that the he feels Pradco goes in depth with the psychological evaluations. Chief Telzrow stated that the Fire Department has used Pradco in the past for candidate profiles, and was very satisfied with the work done. Resolution regarding educations credits for promotions in the Fire Department. The Commissioners reviewed information from Captain Mike Carroll regarding educational credits in the Fire Department. Mr. Sweeney asked that another draft be proposed, showing what the Fire Department, collectively, would recommend for approval. Discuss original appointment police exam held February 27, 2010. Clarice White, Secretary, stated that all scores and any extra credit have been tabulated. She further stated that there are a handful of questionable applications that will need verification from OPOTA. Chief Porrello stated that applicants' current employment should be put back on the application for future tests. It was moved by Mr. Schmidlin, seconded by Mr. Sweeney that the meeting be adjourned. Special Meeting of the Civil Service Commission of the City of Lyndhurst, Wednesday, February 24, 2010 at 8:30 AM Joseph A. Sweeney, Chairman presiding. Discuss credit for additional education in the Fire Department. Presentation by Dr. Larry Borodkin of Pradco. The Civil Service Commission of the City of Lyndhurst met in Special Session on Wednesday, February 24, 2010 in the Conference Room of the Lyndhurst Municipal Center, 5301 Mayfield Road. Joseph A. Sweeney, Chairman presiding. Captain Carroll distributed a Promotion Point Impact to the Commission, compiled by Captain R Bruce Borthwick, and based on a point system, as opposed to the percentage system, compiled by Chief Telzrow, which was also distributed for the Commission to review. Mr. Sweeney thanked the members of the Fire Department for their hard work in compiling the information. He further stated with the information submitted, it will be easier to review and render a decision. In answer to Mr. Sweeney's question, Mr. Murphy stated that legislation was prepared a while back, based on Chief Telzrow's recommendation. He further stated that he will draft legislation based on Captain Borthwick's proposal as well. It was moved by Mr. Schmidlin, seconded by Mr. Patete that legislation be drafted reflecting the Captain Borthwick Option, for consideration. Mr. Sweeney introduced and welcomed Pradco, and explained that this presentation is primarily for a possible upcoming promotional exam in the fire department. Dr. Larry Borodkin and Terry Owen, Pradco, gave an overview and history of Pradco, then distributed information to the Commission. They explained the testing process and stressed that the test could be developed to meet the needs of the community. Motion carried, meeting adjourned at 9:55 a.m. Regular Meeting of the Civil Service Commission of the City of Lyndhurst, Thursday, February 11, 2010 at 8:30 AM. Joseph A. Sweeney, Chairman presiding. Others: P T Murphy, Director of Law; C J White; Secretary. Approve minutes of the Regular Meeting of the Civil Service Commission held Thursday, January 14, 2010. Discussion upcoming test for patrolmen. Discuss Resolution No. 2009-03; credit for military service. Discuss Resolution No. 2009-04; credit for associates degree for original appointment in the fire department. Discuss Resolution 2009-05; credit for military credit and educational credits for various ranks in the fire department promotional exams. Discussion of Rule XIII - Efficiency Records in the fire department. Discussion of psychological exam doctor and location. Discussion of credit to current Lyndhurst Special Police Officers for taking original appointment exams. Request examination information from Ohio Fire Chiefs and Pradco. The Civil Service Commission of the City of Lyndhurst met in Regular Session on Thursday, February 11, 2010, in the Conference Room of the Lyndhurst Municipal Center, 5301 Mayfield Road. Joseph A. Sweeney, Chairman presiding. Discuss extension of the eligibility list for chief, lieutenant and sergeant in the Police Department. It was moved by Mr. Sweeney, seconded by Mr. Schmidlin to extend the eligibility list for chief, lieutenant and sergeant in the Police Department for another six (6) months, ending August 6, 2010. It was moved by Mr. Schmidlin, seconded by Mr. Patete, that the reading of the minutes of the Regular Meeting held January 14, 2010, copies of which were mailed to all members, be dispensed with and said minutes stand approved as circulated. Discuss upcoming test for patrolman. Clarice White, Secretary stated that the maximum number, one hundred twenty-five (125) applications have been received. She further stated that many of the applicants have their police certification. The Commission agreed that all three members would be at the test, February 27, 2010. It was moved by Mr. Sweeney, seconded by Mr. Patete that this item be tabled. It was moved by Mr. Sweeney, seconded by Mr. Schmidlin that this item be tabled. Discuss Resolution No. 2009-05; credit for military credit and educational credits for various ranks in the fire department promotional exams. It was moved by Mr. Sweeney, seconded by Mr. Schmidlin that Rule XIII - Efficiency Records in the Fire Department, be removed from the Rules of the Civil Service Commission. It was suggested that the Secretary contact Pradco, a testing company, for a presentation to the Commission, and to compile cost information from Dr. Thurston Cosner. Mr. Patete suggested that extra credit, amount of points to be determined at a later date, be considered after a year's probation, with a letter to the Civil Service Commission from the Police Chief. It was moved by Mr. Sweeney, seconded by Mr. Schmidlin that the amount of credit to be given to current Lyndhurst Special Police Officers be tabled. The Secretary brought up a frequently asked question of the applicants for the upcoming patrolman's test: why do they have to take a separate physical agility test if they've already passed their peace officer's certification, which includes a more strenuous physical agility test. Chief Porrello stated that a certificate from the Physical Agility Test held at Tri-C, western campus has always been mandatory. He then stated he would do some research on this issue. It was decided to have Pradco first do a presentation, then at another time invite the Ohio Fire Chiefs' Association for a presentation. Motion carried, meeting	adjourned at 9:35 a.m. The Civil Service Commission of the City of Lyndhurst met in Regular Session on Thursday, January 14, 2010 at 8:30 a.m., in the Conference Room of the Lyndhurst Municipal Center. It was moved by Mr. Schmidlin, seconded by Mr. Patete that the minutes of the Special Meeting of the Civil Service Commission held January 7, 2010, copies of which were mailed to all members, be dispensed with and said minutes stand approved as circulated. Discussion and preparation of application, advertisement, and information packet for the original appointment exam for the Lyndhurst Police Department. The application for the police officer examination was reviewed and the following changes were recommended: add cell phone number and email address, add Ohio driver's license number and the words "Have you ever been convicted of a felony or misdemeanor? If yes, please explain and provide case no., date of conviction and jurisdiction of conviction." It was moved by Mr. Schmidlin, seconded by Mr. Patete that the recommendations made to the application for police officer be approved as stated. Discussion continued on the content of the newspaper ad for the patrolman test, a copy of the completed ad will be made part of the permanent record. In regards to the information packet for the police officer examination, the following changes are recommended: Salary and Benefits, put in current salaries, change filing date under Age; change filing date and change the number of applications accepted from 200 to 125, under Filing; change date of the written examination; change date and cost for the physical abilities test. Under Appointment, the words "An exam to test applicant's report writing ability shall be required of the individual certified to the appointing authority." Add the words "Voice Stress Test" next to "Polygraph" under the heading Polygraph Psychological Evaluations. Under General Requirements, change date in the third and eighth paragraphs. Recommendations were made to abbreviate and update the newspaper ad for patrolman. Mr. Patete explained that there is a probationary period for all full time police officers, and feels that provision may have to be changed if credit is given to existing Lyndhurst Special Police Officers. Mr. Schmidlin recommended that this item be tabled pending information from Police Chief Porrello. Special Meeting of the Civil Service Commission of the City of Lyndhurst, Thursday, January 7, 2010 at 8:30 a.m. Richard D Patete, Chairman, presiding. Approve minutes of the Regular Meeting of the Civil Service Commission held Thursday, December 10, 2009. Swear in Raymond Schmidlin, to renew his term on the Civil Service Commission. Election of Officers for the year 2010. Presentation by Paul Michalko, Personnel Selection Services, regarding original appointment exam for the Police Department. The Civil Service Commission of the City of Lyndhurst met in Special Session on Thursday, January 7, 2010 in the Conference Room of the Lyndhurst Municipal Center, 5301 Mayfield Road. Richard D. Patete, Chairman Presiding. Others Present: Paul T. Murphy, Director of Law; Chief Rick Porrello; Clarice J. White, Secretary. At this time, the Oath of Office was administered by Paul T. Murphy to Ray Schmidlin Jr., to renew his term on the Civil Service Commission. Vice Chairman: Ray Schmidlin, Jr. It was moved by Mr. Sweeney, seconded by Mr. Schmidlin that the minutes of the Regular Meeting held Thursday, December 10, 2009, copies of which were mailed to all members, be dispensed with and said minutes stand approved as circulated. Mr. Michalko gave a brief history of himself, his company, and the testing process that is used. Chief Porrello stated that there seems to be a deficiency with the new hires in regards to report writing. He then asked if there is a section within the testing process that would cover writing skills. Mr. Michalko stated that writing skills could be covered in the original appointment testing process, however, it is subjective, and therefore would open the test up to more complaints. In answer to Mr. Murphy's question, Mr. Michalko stated that he has not done any testing for report writing for original appointment levels. He further stated that writing skills, including report writing are usually done at the promotional testing level. It was decided that Chief Porrello would meet with Mr. Michalko to discuss and conclude the most efficient way to resolve the writing skills issue. In answer to Chief Porrello's question, Mr. Michalko stated that conflict resolution and interpersonal relations are also not covered on the test because each city handles conflict resolution differently. He further stated that the test given by his company is all relative to general police work. At this time, a price list from Personnel Selection Services for the original appointment test was distributed. The maximum number of applicants, the information required by each applicant on the application, and shortening the newspaper ad was discussed. Also discussed was anything prohibiting a person from taking the test, i.e. a felony, and where to post requirements. Mr. Michalko cautioned that there shouldn't be anything that would preclude someone from taking the test. He further stated that Personnel Selection Services can do the writing skill sample as part of the screening process with the top ten (10) scorers. He stated that it would not be graded, which would take the subjectivity out of the scoring, but would be for informational purposes only. He then stated he would administer the writing skills portion at no extra cost. In answer to Mr. Patete's question, Mr. Michalko stated that the current test is one hundred twenty-five (125) questions, and a new test is created each time it is given. In regards to the number of applicants taking the original appointment test, Chief Porrello suggested that there be a minimum of one hundred (100) applicants. It was moved by Mr. Sweeney, seconded by Mr. Schmidlin that Personnel Selection Services be chosen to give the test for original appointment for the Lyndhurst Police Department, based on the proposal given at this meeting. Motion carried, meeting	adjourned at 9:20 a.m.